WASHINGTON — A wise man once said that you can’t step into the same river twice. Some rivers, you shouldn’t step into even a single time. That used to be true for the Cuyahoga, which snakes through downtown Cleveland before emptying into Lake Erie. For most of the 20th century, it was legal to dump waste into waterways. 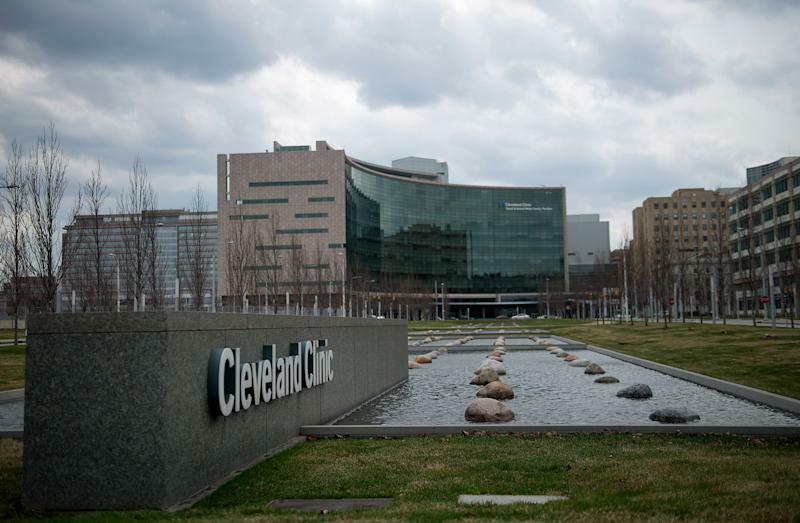 So the industries along the Cuyahoga dumped and dumped — and dumped some more. The river’s surface crusted over with debris, and where the water was visible, it was black with oil. 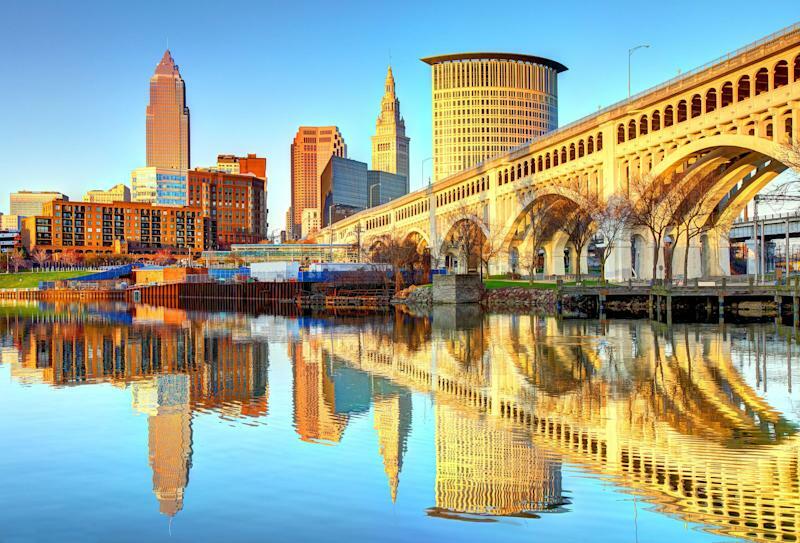 But 50 years later, the Cuyahoga is a point of pride for Cleveland, having been the focus of a $3.5 billion restoration effort that has helped anchor a broader revitalization of Cleveland. And it has just been named “River of the Year” by American Rivers, a Washington-based organization focused on protecting the nation’s waterways. The near-miraculous recovery of the Cuyahoga is a testament to the efforts of local officials, begun by then-Mayor Carl Stokes — and to the success of one of the most significant pieces of environmental legislation in the nation’s history, the Clean Water Act, which the Trump administration is now attempting to undercut. "It’s a dramatic comeback for the Cuyahoga,” says Chris Williams, vice president for conservation at American Rivers. For Clevelanders, the comeback is also an affirmation of the Midwestern spirit. It was Mayor Stokes, the first African-American to lead Cleveland, who realized that by publicizing the fire he could bring attention to the Cuyahoga’s plight. The day after the fire, he went to the scene of the crime. Leaning against a wooden pillar on the river’s banks, with the bridge leading to Republic Steel behind him, Stokes treated the event like the newsworthy catastrophe it should have been — and would have been if such fires were not dismayingly commonplace. Stokes painted the city as a helpless victim of industry: “We have no jurisdiction over what’s dumped in there,” he complained. The Time story appeared a few months after that. 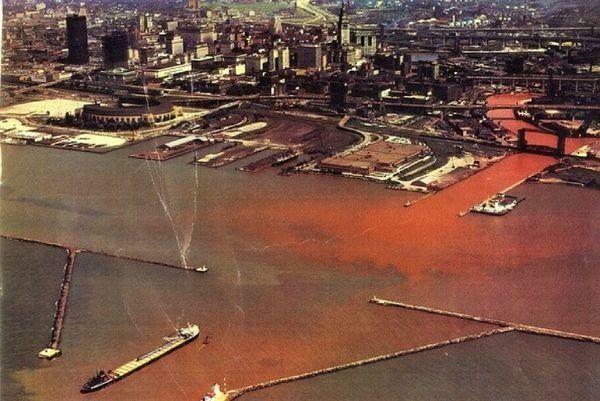 Far more important, in 1972 Congress passed the Clean Water Act — in part thanks to testimony Stokes and his brother, U.S. Rep. Louis Stokes, provided — which made illegal the kind of dumping that had turned the Cuyahoga into a tinderbox of horrors. 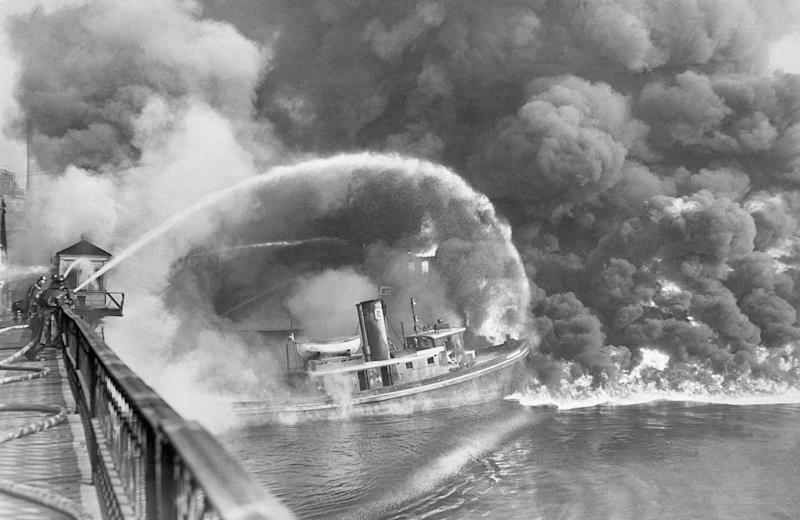 In the years that followed, Washington, Cleveland and Columbus, Ohio’s capital, were not always models of cooperation, but they did well enough to make sure that the Cuyahoga would never catch fire again. In 1998, it was declared an American Heritage River, one of 14 around the nation given such designation by the EPA. Today its waters are inhabited by 60 species of fish. Bald eagles nest on its banks. And Cleveland is a growing city, with luxury condominium buildings rising on the formerly blighted shores of the Cuyahoga. “You’re not gonna have stuff like the Flats on a river that’s full of oil,” explains Bob Wysenski, a retired Ohio EPA official, in an EPA video about the Cuyahoga. The reference is to the Flats East Bank, a massive redevelopment near where the Cuyahoga flows into Lake Erie. The Flats represents the kind of upscale initiative that would have been unthinkable two decades ago. There are now 737,031 people across 12 Midwestern states working in renewable energy jobs, according to Clean Jobs Midwest, a nonprofit organization that studies the renewable-energy sector of that region. Ohio, according to Clean Jobs Midwest, now employs 112,486 people in clean energy, which puts the state in eighth place nationwide for jobs in the renewables sector. By contrast, only 51,000 people around the country are employed in coal mining, an industry President Trump has promised to restore. In the meantime, the Trump administration has moved to cancel or delay many of the environmental regulations that it believes hamper growth in the extractive industries and heavy manufacturing. Those are many of the same regulations that have kept river fires from becoming a normal occurrence of American life, on the order of, say, early-morning presidential tweetstorms. Brown calls Trump a “tool of the oil and gas industry.” As harsh as that charge may be, Trump does have Andrew Wheeler, a former coal lobbyist, heading the EPA, and Department of Interior chief David Bernhardt, also a former lobbyist, carries a card with all his potential conflicts of interests. 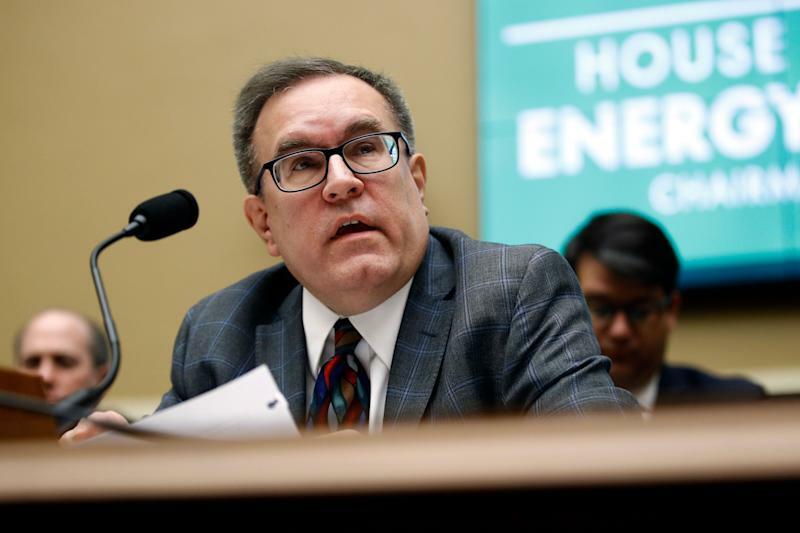 Wheeler’s predecessor at the EPA, Scott Pruitt, led a sustained assault on the Clean Water Act and the Clean Air Act before being forced to resign in ignominy last year. Pruitt canceled the Waters of the United States rule, an Obama-era directive that had expanded the provisions of the Clean Water Act. According to Williams, the American Rivers vice president, that rollback could endanger 18 percent of the nation’s rivers and half of its wetlands. Pruitt also repealed Obama’s clean-power plan, which would have hastened the transition away from fossil fuels. Bernhardt’s predecessor, Ryan Zinke — who like Pruitt ended his career as a public official in disgrace — wantonly leased public lands to oil and gas companies, endangering pristine areas across the West. Wheeler, the current EPA chief, has spoken about returning the EPA to “its core mission,” but his favorite version of the EPA appears to be the one before there was any EPA to speak of. He has overseen — without any seeming concern — the attrition of hundreds of scientists from the agency and supports Trump’s proposed budget for his agency, which would see a 31 percent decrease in funding. But as Williams of American Rivers says, “The Trump administration can't simply strip away protections by fiat.” It falls to cities and states to fight the administration in court. Attorneys general like Maura Healey of Massachusetts and New York’s Barbara Underwood, who has since left office, fought Pruitt in court, keeping him from critical victories in Trump’s war against the regulatory state. That battle will continue as long as Trump is in office: for the Cuyahoga, the Hudson and every other river in the nation.